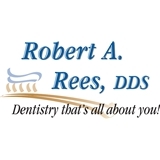 Robert Rees (La Jolla) - Book Appointment Online! People-centered patient care is the cornerstone of my practice. Not only will I treat your smile with skill and soft touch, I will give you the warm and friendly care you want. This includes answering questions and explaining your treatment options in great detail. I remain active in dental organizations to keep informed of new developments in dentistry, which benefits you as a patient. To keep current with all the advances in dentistry, I attend hundreds of hours of postgraduate advanced education and every year. Please book an appointment online, we look forward to seeing you soon. Had a great experience with all of the staff there. It was a nice professional atmosphere. Thanks to you all.